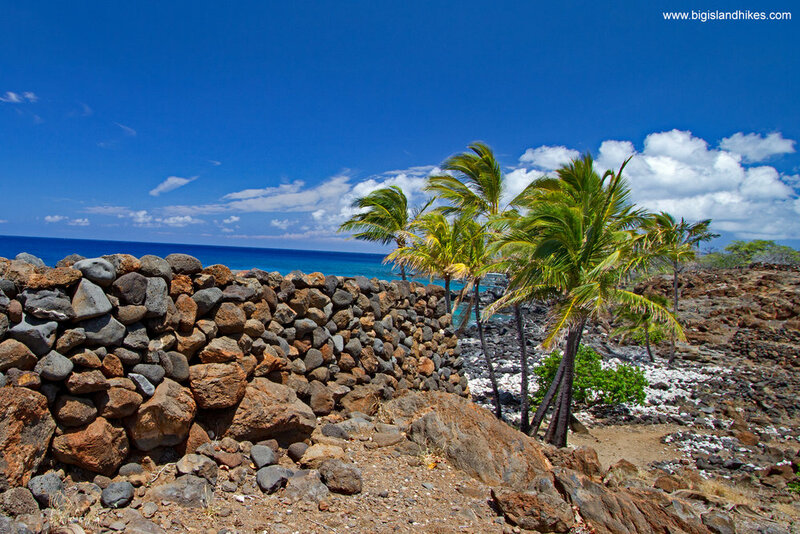 Lapakahi State Historical Park offers numerous historical sites and artifacts in a short distance. Lapa kahi means "single ridge" and refers to the ancient ahupua'a (land subdivision) that existed here some 600 years ago. The offshore area is a Marine Life Conservation District. There are many kinds of ancient structures and artifacts along the short 1 mile hike, including several house sites, canoe storage houses, salt-making pans, kukui nut lampstands, and even a few kōnane games. Lapakahi is open daily from 8am - 4pm (no entry after 3:30pm). It is closed for state holidays. There are portable restrooms, but no water available. Trailhead: The parking area is 12 miles north of Kawaihae near mile marker 14 on the Akoni Pule Highway (Hwy. 270). There is a small parking area near a building. Hike: Be sure to pick up a trail guide for the Lapakahi Village Interpretive Trail at the small shack near the parking area. Having a guide makes the short hike much more worthwhile, so consider printing one out before you arrive just in case you can't get one at the Park. From the parking area, the trail travels around the ancient village. The trail guide explains the 19 numbered stops. Please stay out of all ancient sites and off of rock walls. 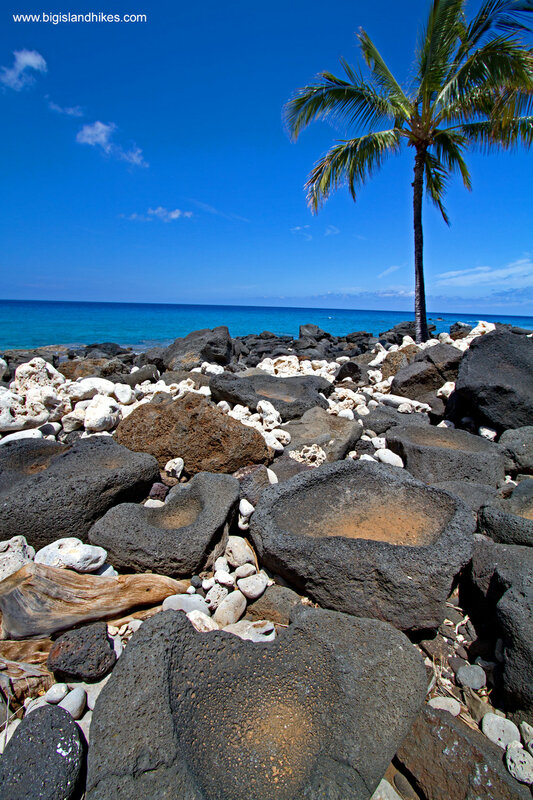 Swimming is poor along this coast, but Koai'e Cove is a beautiful stretch of coastline with very clear water.